The Centre of Contemporary Art (CoCA) which re-opened in February at their original premises 66 Gloucester Street, Christchurch is currently (and until August 7) showing an impressive and graphic three screen video presentation. 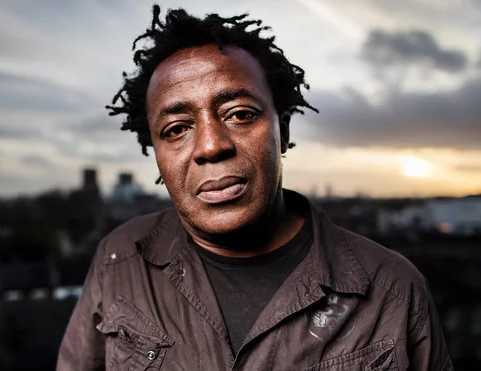 The work, “Vertigo Sea” is by Ghanaian-British film director, artist, screenwriter and curator John Akomfrah OBE and made its debut at the 56th Venice Biennale in 2015. Viewers are confronted by three huge screens which fill the gallery wall before them and the fourty eight minute production cleverly fuses images from the BBC’s natural history unit with sometimes disturbing footage of whale and polar bear hunting and the slave trade along with new footage shot in several global locations. Each of the screens simultaneously display a different visual narrative. The work explicitly focuses on the horror and cruelty of the historic whaling industry and juxtaposes images of African slaves and migrants subjected to ocean crossings which were fraught with danger. It is described as beauty and terror at sea and a poetic deliberation on Man’s relationship with the sea. This unique video production includes much astonishing beautiful wildlife and landscape footage. Rejigit recommends the exhibit and thanks CoCA for undertaking what must an ambitious and very labour intensive project. I discovered the video installation on a random visit to the gallery and it was one of those experiences which leaves a lasting impression. An exhibit of Blue Whale vertebrae appropriately on display at the CoCA Gallery, 66 Gloucester Street, Christchurch in conjunction with showings of Vertigo Sea. The CoCA Gallery is quite near to the Christchurch Art Gallery and Lux Expresso serving Allpress Coffee is onsite.